I'm in the market for a used Star Trek Pro because my budget is realistically in the mid-$4k range. Someone offered me a NIB for $5300, which is a bit above my price range. I'm wondering if this is a good price or not. Any help appreciated! It's not a great price, but probably the cheapest you'll find one NIB if shipping is included and it comes from an authorized dealer w/ factory warranty. that's a good price for nib. don't think you will find one cheaper. star treks are getting far and few in the mid 4's anymore. upper 4's maybe. I was quoted $5700 delivered to my door by a respected distributor... so $5300 seems like a pretty good price to me. 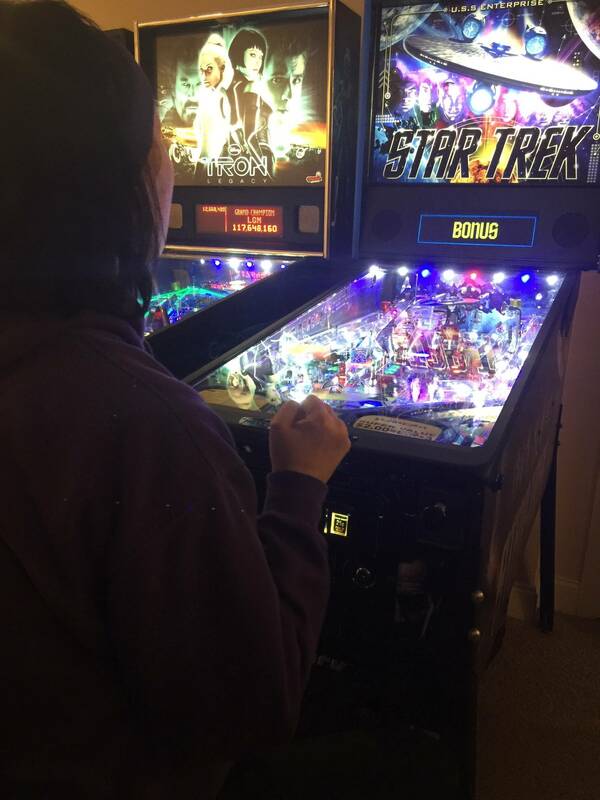 I personally am picking one up from a friend for $3500 this weekend... however, that price is lower than any price I've heard for a Star Trek Pro on pinside and I fully realize he's hooking me up. The going rate for used stock pro seems to be around $4200. I personally would rather have a loaded and modded out used pro or used stock premium than a NIB pin if you are talking similar price points. With that said I've never had a NIB pin. My advice for you would be to wait for the used pin to pop up near you. However, as stated earlier $5300 for a NIB pin is a great price. If you don't know how to check, here are all the archived Star Trek Pro machine ads along with what they were listed for and whether they sold. TO High for St Pro. Thanks everyone, very helpful indeed. I am comfortable with what a good price would be for a used one, but my real curiosity was how the market for an out of production NIB Stern machine works. I know they are usually $5800 NIB when in production (pro models), so I was just curious for reference how it works once time goes by. Does the price usually go down, up, stay the same due to scarcity, etc. Again, thanks - you guys have given me a lot of helpful advice and it's much appreciated!! Keep in mind they released a "vault " edition. Rumor was that original stock hadn't sold out yet, so, take that for what it is. I was in the market earlier. Decided I'd rather the Premium, but for current asking. I can wait. NIB vs great shape better price, , , I like my money. FYI - Star Trek is not out of production - they announced a new run recently. I've always been confused by that. What are vault editions? I wasn't aware of that! Is that different than the vault edition? Any info on timeframe or cost? This is my old one (friends listing). No idea why it hasn't sold yet, price seems more than fair to me (the Omaha pin market does seem pretty dead right now for whatever reason). Listen to this man. He knows of what he speaks. Holy $4200 with a color dmd that is a steal, why has that not sold. At that price it’s worth shipping.